Back in 2015, I started working buying up assets and setting myself up to live stream while coding. I wasn’t sure at the time how much time I wanted to dedicate to talking with other devs, pairing, doing exercises/katas, working on OSS, and writing real code. I just figured it would be cool to do some streaming and interact with the developer community while writing code. A few people had actually been asking me to, so I decided I would do it. When I started out, I was choosing where I wanted to stream. I figured YouTube and Twitch made the most sense, so I set up a DevChatter YouTube and a DevChatter Twitch. Subscribe on YouTube and follow on Twitch to see my streams and videos! I also picked up the domain name, because it was available. 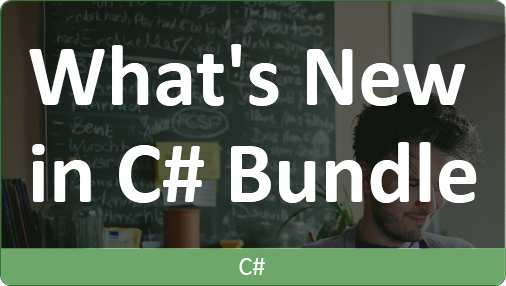 It had that balance of discussion and coding in the name. I like it. We’re not supposed to be me just talking at people, and that balance will shift as we grow. My Twitch channel is growing already. I’m getting new people joining and following with each stream. I mentioned creating some accounts and picking up a domain name I’m not using yet. I also had a basic logo designed for DevChatter, and am now using that for the Twitch account. I also set up an account and got some custom music created and licensed it for use on the stream. If you show up to the beginning of the stream, you’ll get to listen to the music. Rather than using it as background music, I’ve got it playing before the stream starts. Lucky for me, I have done some Twitch streaming of games in the past, so I knew how to get OBS set up for the stream. We’re set up with a GitHub account I created years ago as well. So far on DevChatter, I’ve had a few streams doing programming exercises. 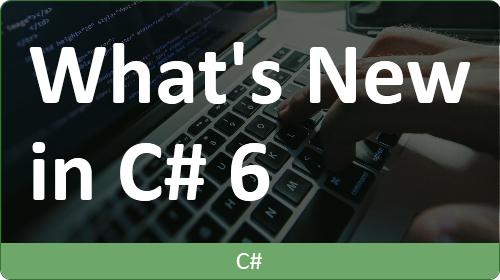 The code has been C# so far, but I don’t intend to always do C# on stream. 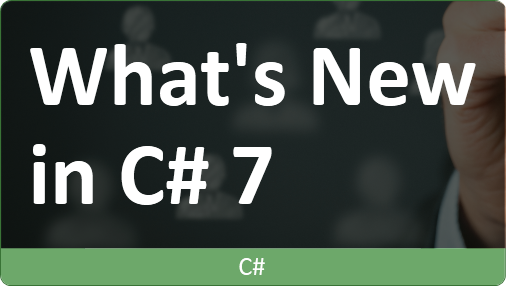 We’ve done some of our C# exercises in .NET and some in .NET Core. Yesterday, I did a stream where we started an open source project that is intended to become a Twitch chat bot. We may look at putting it on Azure (or elsewhere?) or keeping it as a local program. I’ve not decided yet, but we worked on some basic code today. We didn’t yet connect to Twitch, but I mostly wanted to get the framework, structure, and code set up first. 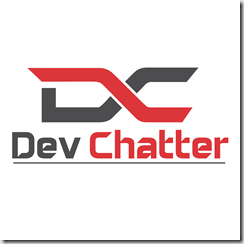 The DevChatter Bot source is on the DevChatter GitHub account. I want to keep doing programming exercises and katas on stream, and I’m hoping to get more involvement from all of you. I also want to continue on our (and others’) open source projects; I think there’s a great deal we can learn while helping build the community. In addition, I want to bring guests on to pair program with. I’d actually started talking with potential guests a couple of years ago, but will obviously need to restart those conversations. I think we could do community discussions where we write code as we talk about things. We’ll see how it goes. Is there someone you want me to pair program with? Let me know using whatever means you feel like for contacting me. There are a couple of reasons why I didn’t start DevChatter a couple of years ago as I intended to. The first of those reasons is that I talked with some other people who convinced me to redirect my attention elsewhere. As such, I’ve been working on DevIQ for some of that time. 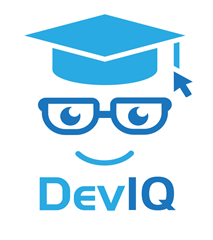 We’re building a really cool online educational program at DevIQ. If you haven’t checked it out, you really should. We’re working with new authors and preparing for new content now. We have plans for what we want on DevIQ and have been building some cool interactivity that both our students and authors will love. Check it out! The other reason why I didn’t start years ago is a funny one. I really wasn’t sure how to classify my streams on Twitch. I don’t know if “Creative” existed as a game at the time and I didn’t notice it. I didn’t want it to be IRL, and there weren’t any specific to programming. I am currently streaming it as “Creative” on Twitch. Sometimes it’s the little things that get in the way. Over a year ago, Steve Smith, Rich Henning, and I met to plan our first meeting of the Hudson Software Craftsmanship group. We decided on a format for the group, planned how we were going to organize the events, and came up with some topics to discuss for our first meeting since we didn’t expect people to arrive for the first meeting with lightning talks and discussion topics prepared. We also came up with the time for the meeting which would be the third Wednesday of each month, and we set up the first meeting of the group. Since that point we have been very impressed with the core group of members who have stepped up to take part in the group and really help improve their own and others’ craft. We put on a local Software Engineering 101 event in Cleveland where four HudsonSC members, @ardalis, @brendoneus, @kevinkuebler, and @ropog, took the time to discuss some topics and run the group in exercising their skills. The class was a great success and I, as a member of HudsonSC was proud to be a part of it. The group is always looking for new members, so if you’re in the Northeast Ohio area, please drive to Hudson, Ohio once a month on the third Wednesday of the month. We prefer if you sign up, but you can just show up and we will not turn you away. Everyone is welcome. Sign up for the August 2010 event now! Look for more information on the group on the Hudson Software Craftsmanship site. Fresh opinions, ideas, and technology are always welcome. Thank you for a great year, HudsonSC! I will be attending a great regional event this week. The event is called CodeMash and it is located in Sandusky, Ohio. As the CodeMash site describes it. CodeMash is a unique event that will educate developers on current practices, methodologies, and technology trends in a variety of platforms and development languages such as Java, .Net, Ruby, Python and PHP. I hope everyone attending has a safe trip there and has a good time. I look forward to seeing you there. You’ll find me at the Precompiler Software Craftsmanship workshop as well as at the Coding Dojo, which will be open Thursday and Friday in the Banyan room. I look forward to seeing you all there. If you don’t make it out this year, there is always next year. Have a great week everyone! A couple of days ago I received an email informing me that I received the 2009 Microsoft® MVP Award. Thanks Microsoft. I am very honored. Thank you everyone who reads the articles and blog posts I write as well as the other things I am involved in. I hope everyone has a happy new year. Everyone at my office should not worry, because I am not really going to uphold the random resolution I mentioned in my previous post. The year 2009 is turning out well. I hope everyone has enjoyed their first couple of days of the new year.